Visitors are welcome to attend at a cost of £3. Doors open 7:15pm ready for the meeting at 7:45. Access is via the main entrance on Church Lane (opposite Mount Drive) and the meetings will be held on the church ground floor. The seventh ingredient of the 2018 -2019 MLHS season's recipe is a night to learn of Elizabeth Raffald. Elizabeth who? you may well ask. Elizabeth was an author, innovator, entrepreneur and benefactor, an extraordinary woman of hard work and enterprise. She contributed hugely to the development of Manchester in the 18th century. Although now largely unknown her endeavours are remarkable. Suze Appleton will be with us on an evening in March to tell the tale of this forgotten domestic goddess from the 18th century. 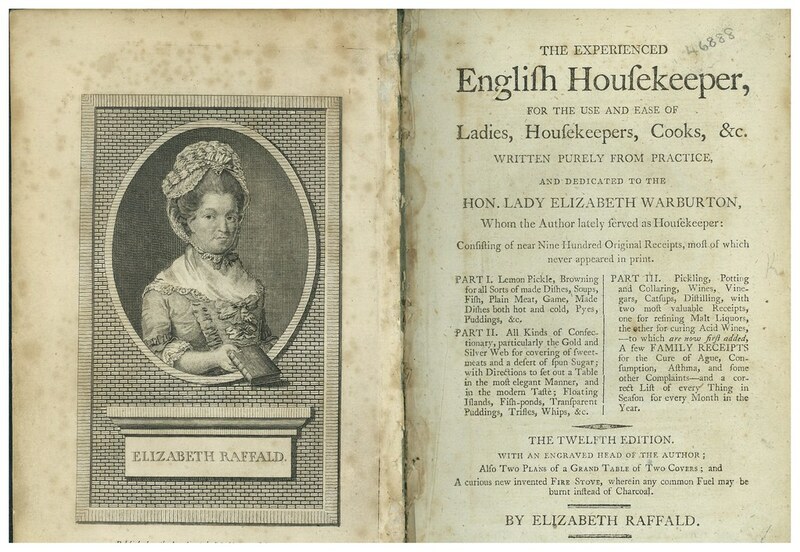 Living from 1733 to 1781, Elizabeth set up her first confectionery shop, a kind of deli, in Manchester's Fennel St and soon became renowned for her catering knowledge and skills. Doors to the Methodist Church open at 7:15 pm ready for the meeting to start at 7:45. Afterwards you can indulge in refreshments and a little light conversation. 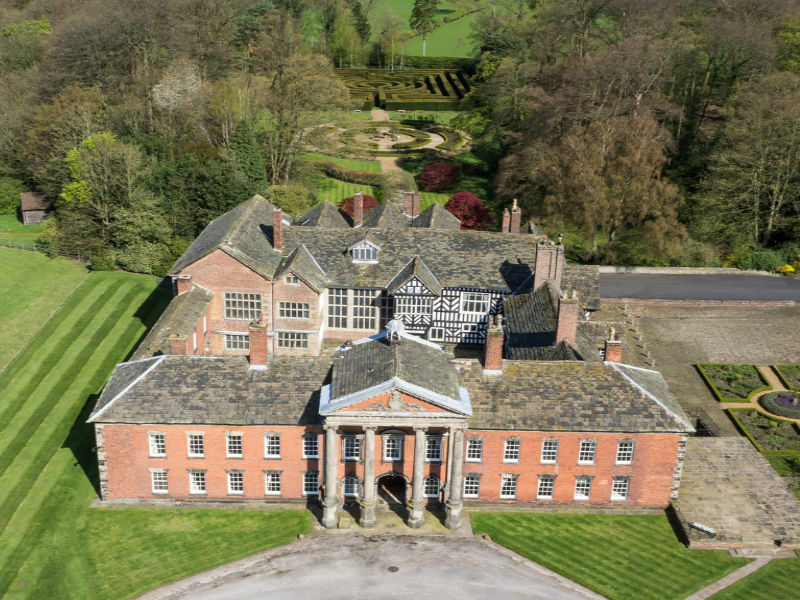 Designated a Grade I listed building on 25 July 1952, Adlington Hall, was built on the site of a Saxon Hunting Lodge in the Forest of Macclesfield . In February, Anne Woods will visit the Society to describe one of the most beautiful homes in England. 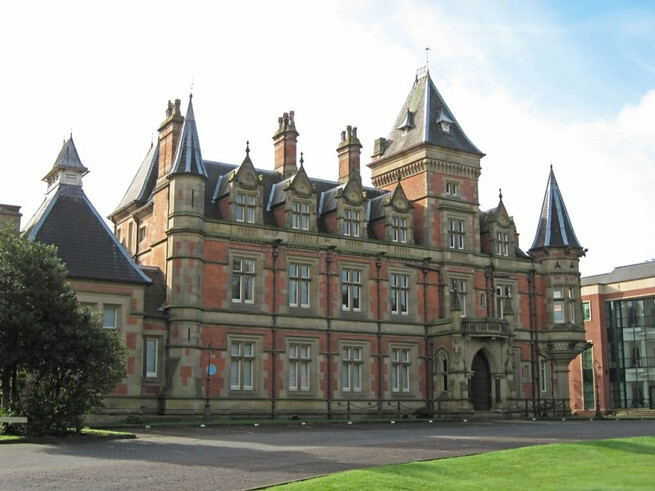 The Legh family has lived in the hall and in previous buildings on the same site since the early 14th century. Two oaks, part of the original building, remain rooted in the ground supporting the east end of the Great Hall. Between the trees stands an organ which was played on by Handel and is still operational today. The hall is surrounded by a landscape park and woodland, covering in total about 160 acres. Anne has been a guide at the hall for over 15 years, not only will her talk cover the history of the hall but also that of the more prominent and colourful members of the family. The Leghs of Adlington and the Leghs of Lyme are connected, surely? You may wish to ask a friend, aka a Mr G. Oogle, or test your patience and wait until the evening of Monday, February 18th, to answer that question. STORM OVER MELLOR is an illustrated talk about how the €7.2M EU funded project is looking at the effects and mitigation of Climate Change on our Cultural Heritage. 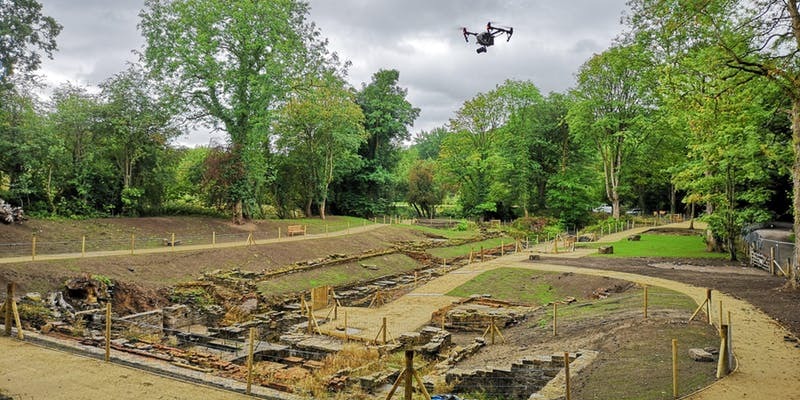 This will be a non-technical talk presented by Bob Humphrey-Taylor, Chair of Mellor Archaeological Trust. Memories will be stirred but not shaken. Such is the promise of an evening of Belle Vue to the members…..and visitors. Brian Selby will doubtless tell of the circus, speedway, boxing, rollercoasters, fireworks, zoo – from 1848 Belle Vue attracted visitors from all over the north with its unique combination of leisure activities. Originally Belle Vue Zoological Gardens, the brainchild of entrepreneur and part-time gardener John Jennison, were meant to be an enjoyable pastime for the middle classes; however they very quickly became one of the North West's biggest attractions. At its peak, Belle Vue occupied 165 acres and attracted more than two million visitors a year, but the zoo closed in 1977, due to financial difficulties, and the site was finally cleared in 1987. 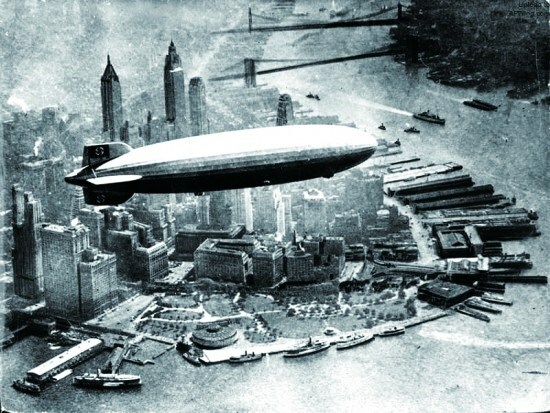 The society has been in holiday mode for the last two couple of months, dreaming of airships and postcards. But it is now time to come down to earth and return to work in the mill. In November, Judith Atkinson will return to the Society, having relived the story of the Manchester Ship Canal, in March 2015. This time Judith will describe the operations that took place at the Burgess Ledward mill at Wardley, near Walkden. As with the meeting of last month, ‘What to do with 323 postcards’ the basis of November’s presentation is a ‘discovered’ album. Judith retrieved an old volume of photographs, destined for destruction, showing in graphic detail all the operations taking place at the Burgess Ledward mill, in the 1920s, and converted these old prints into digitised images. This bleaching, dyeing and weaving Mill dates from the 1860s. 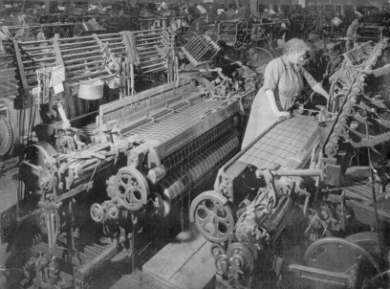 At its peak in 1922 it had a dyehouse and 1,500 looms. Decline came in the late 1950, weaving ceased in 1968. An industrial and social facet of the Roaring Twenties is to be revealed, a common experience of millions of workers during that era, not least in Marple. As workers in the two major fields of female employment – domestic servant and mill girl – they tell of work and time off, of family life, of love and romance and every-day experiences. Their words range from girly chit-chat to heartfelt despair. They show that over time some things change and others remain the same. 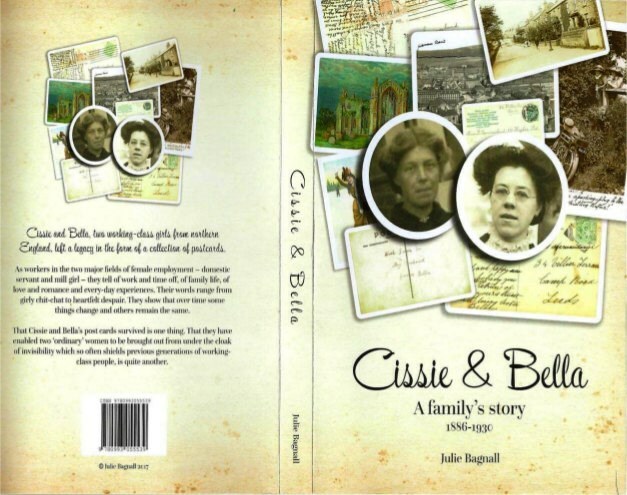 Marple features towards the end of the story when, during the 1920s, Cissie was employed at two homes as a domestic servant. Julie will tell the background story of how the post card collection, on which the book is based, was acquired . A slice of social history to enjoy on the evening of Monday, October 15th. Come along on Monday 17th September, enrol and be enthralled. Marple Local History Society generally meets at Marple Methodist Church on the third Monday of the month from September to April, apart from December, when the meeting is then held on the second Monday of the month. This thread is for the current Marple Local History Society Programme of Meetings.